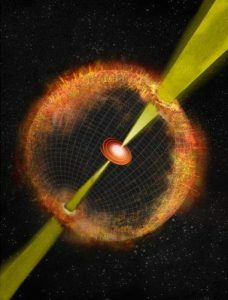 [TORONTO] A team of astronomers has detected the sonic boom from an immensely powerful cosmic explosion, even though the explosion itself was totally unseen. 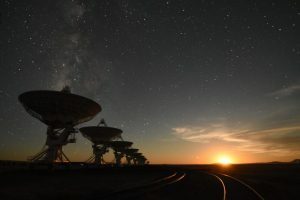 For years, astronomers have been hunting all over the sky for an example of this strange phenomenon, known as an “orphan afterglow.” At last, now they’ve finally found one. The blast generates two jets which travel out from the collapsing star in opposite directions at nearly the speed of light. The jets emit gamma rays, and when they are pointed at Earth, astronomers see these focused outpourings of energy as intense flashes of gamma-rays. But, GRB jets are very narrow, and because the jets from this particular collapsing star weren’t pointed at us, the GRB itself was completely undetectable. However the GRB’s jets crashed into the gas that surrounded the original star, producing a huge shock wave akin to a sonic boom. This heated up the gas, producing a glow that radiated radio energy in all directions. Gaensler, Law and their colleagues made the discovery by comparing data from previous radio surveys of the sky with data from the Very Large Array Sky Survey (VLASS), being conducted with the Karl G. Jansky Very Large Array in New Mexico. The source’s brightness, as well as its evolution over the decades, were clues that it originated from a GRB. Another was that it was found where astronomers expected to find GRBs: in a relatively small galaxy, of a type known as “dwarf” galaxies. The analysis also promises a far more accurate GRB census, made possible using today’s modern astronomical radio surveys that scan large portions of the sky. 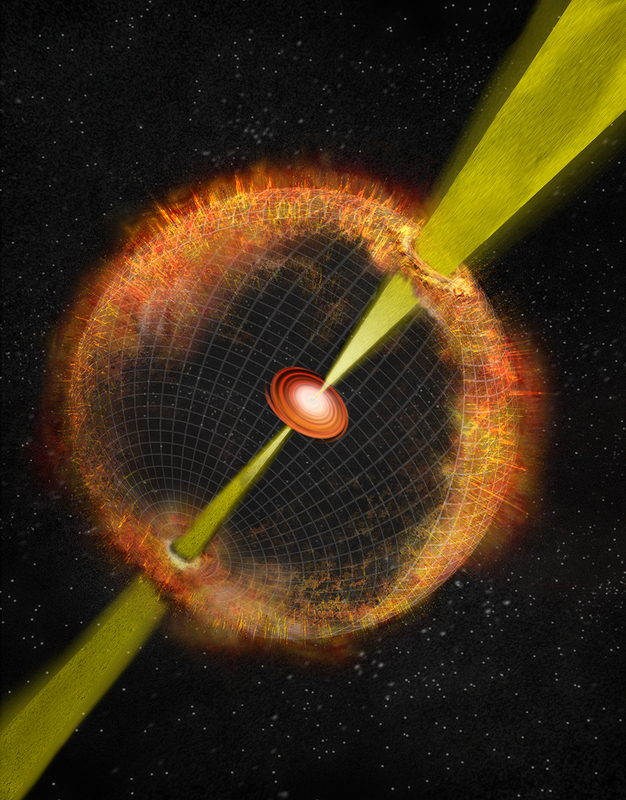 For example, over the next 7 years, the VLASS will make three complete scans of 80 percent of the entire sky.